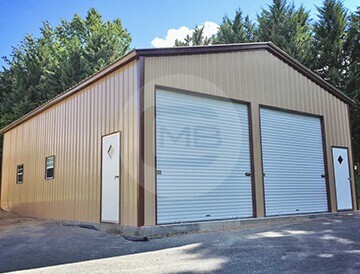 28×41 Metal Garage – This metal garage features (2) 10×10 metal roll-up doors on the 28′ wide front wall, (2) walk in doors, and (2) windows. 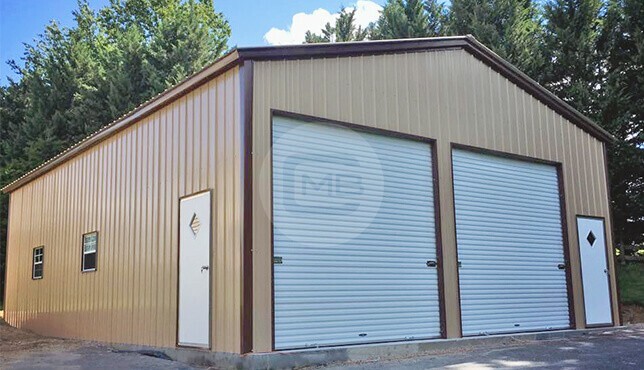 All the walls of this 28×41’ metal garage are enclosed with vertical panels to get the snow slide-off easily. 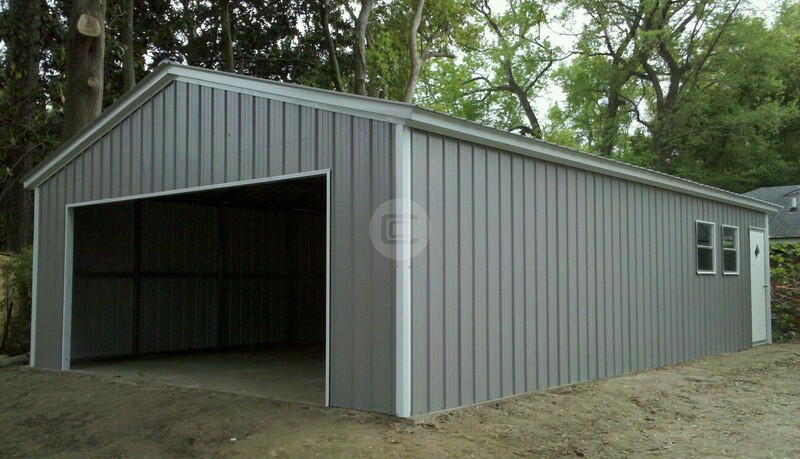 The actual size of this metal garage is 28 feet width x 40 feet long x 12 feet tall, the listed length is 41’ because of the 6” overhang in the roofing. 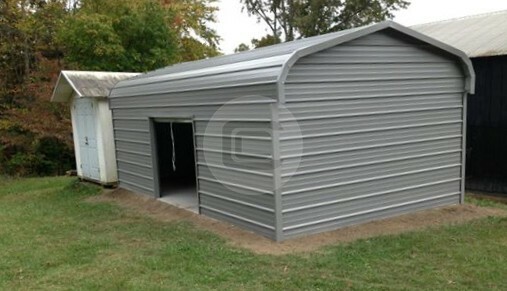 28×41’ is FREE Delivered and Installed any leveled site – ground, concrete, asphalt, soil, dirt etc.